So far, December has been a very low mileage month. Some of that has to do with my schedule, but this week it's mostly due to a persistent soreness that may or not be sciatica. 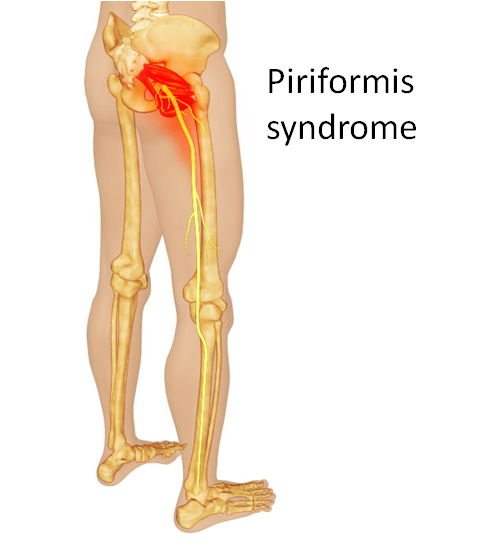 Sciatica's root cause points to scary sounding things like lumbar spinal stenosis, isthmic spondylolisthesis and Piriformis syndrome. As bad as they sound, most relate to disk compression or misalignment. I think Piriformis syndrome, when the sciatic nerve is irritated by inflammation, is the most likely culprit. I bought a massage stick and have used it frequently since Sunday. It helps me put pressure where I feel the most pain but I suspect that I'm not really getting to the source of the problem. I get relief immediately after using it, but the next morning the soreness returns. Despite everything, this ache hasn't lessened much since the last time I ran. That's frustrating because I want to run tomorrow, but I'm very concerned that will worsen the problem. If I was smart I'd take this opportunity to shift to a form of cross training that provides cardio benefits without aggravating my injury. But that would require me to use weights or do push-ups or something. The elliptical is a possibility, although my hope is that I'll wake up tomorrow pain free and ready to run. I recommend Dr. House for lumbar spinal stenosis. I think almost every patient he has seen was diagnosed with this at some point during their visit. The downside is he will probably let you almost die before he cures you. Thanks! I never watched that show but I'll look for it on Hulu now that I know its about diagnosing running injuries.